The nervous system allows our body to maintain life, telling us when to breathe, when to eat, how to react in a given situation and when and how to fight off infections or disease. Our body knows when we're hungry, how to digest and when to blink without us ever having to consciously think about it. In order for our body to function at its optimal level, there must not be any interference on the nervous system. What that means, is that our spinal column must be in proper alignment so that spinal nerves aren't being pinched or irritated on their way to all of our organs. If our organs aren't getting the proper instructions from our brain, how will they know how to function? This fact is crucial to our body's ability to fight off infection and disease. When our body finds an unknown substance, such as a virus or bacteria, a reaction is triggered and our organs begin working together to get rid of the potential threat. Specific "killing" blood cells are released and attack the foreign substance. Our lymphatic system then helps destroy the threat and we don't become ill. Now, what would happen if the blood cells weren't triggered, or they didn't know where to go because the communication with the brain was lost or damaged? What would happen if the body could not produce redness and inflammation to bring more blood flow to the area, including proteins that cause the infected cell to die so that the virus or bacteria cannot spread to other cells? The simple answer is, we would all get sick, more often and more severely. 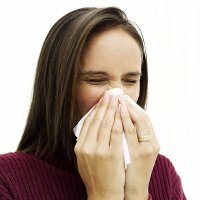 These "attacks" to our body happen many times a day, when someone sneezes, when you touch a doorknob. If it weren't for our nervous system, we would become overwhelmed with disease. The great news is that Chiropractic adjustments can help remove any nerve irritation in the body and promote the body to function at its optimal level. By feeling the spine, Chiropractors find bones that are misaligned and/or stuck, that put pressure on the spinal nerves reach out to all of our organs. They correct the misalignment, or subluxation, and restore proper motion to the joint. The nervous system can then communicate more effectively to all of the body's "soldiers" that help us fight off infection and disease every day. Life can come at us from all directions, shouldn't we all be at our 100% so that nothing can sneak by us?